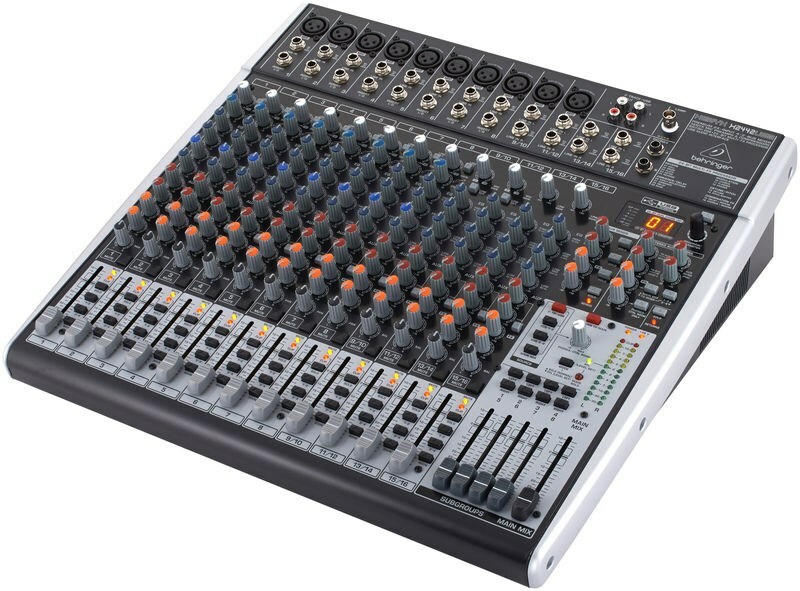 The Xenyx X2442USB is an input mixing desk from Behringer. It features 10 XENYX-powered mic inputs, four stereo channels, four Aux sends and four stereo Aux Returns. Each channel features its own one knob compressor. You will also find a built in USB/Audio interface which allows you to connect the mixer directly to your computer. The Behringer XENYX X2442USB 24 input mixing desk is the "Big Daddy" of the USB Series with its 10 state-of-the-art, XENYX-powered mic inputs, four stereo channels, four Aux Sends and four stereo Aux Returns, and our easy to use "one knob" compressors on each of the mono channels. Other features available exclusive to the X2442USB are: four subgroups for mixing flexibility; Main Inserts (the ideal path for connecting graphic equalizers or compressor/limiters); and eight Direct Outs and Sub Outs for analog recording purposes. The Behringer XENYX X2442USB multi-purpose mixer boasts a raft of features which ensure the highest standards of audio fidelity such as XENYX mic preamps which offer a staggering 130 dB of dynamic range, with a bandwidth that extends from below 10 Hz to well above 200 kHz. There is also the sublimely musical British EQ which imbues signals with incredible warmth and detailed musical character and exhibit sweet forgiveness and superb audio quality. The the XENYX X2442USB also offers Behringer's latest 24-bit dual engine FX processor, with 16 editable, studio-grade presets including reverb, chorus, flanger, delay, pitch shifter and multi-effects. To top off this already impressive package, there is one knob compression provided on each mono channel and the built-in, bi-directional stereo USB audio interface, which allows you to connect the X2442USB directly to your PC or Mac computer via a single USB cable.